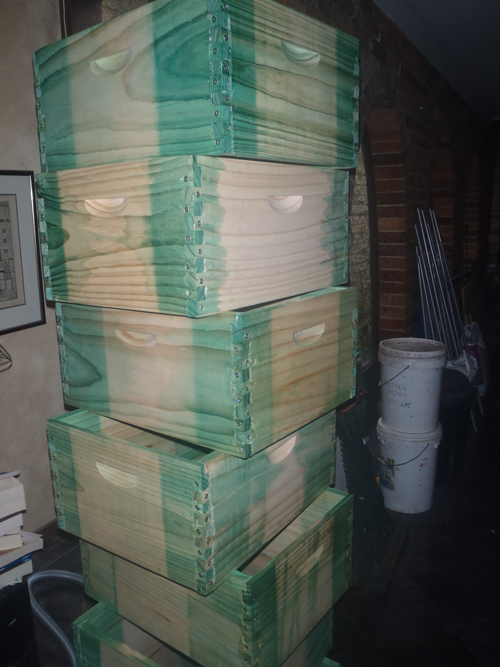 Winter is a good time to get your hive boxes prepared and as I am planning a bit of an expansion this winter I have a bit of work to do. 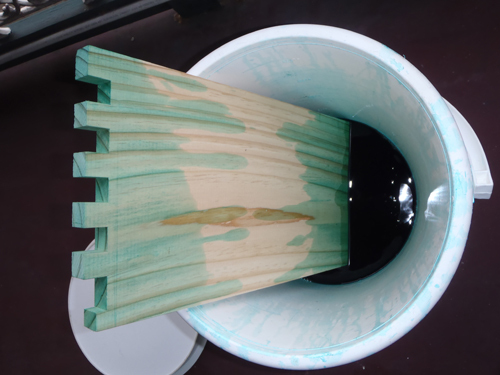 The timber needs to air for about 4 weeks to allow the Copper Naphthenate to dry before the next step. I use stainless steel square drive decking screws as they are easy to install and better than the other options I have tried. 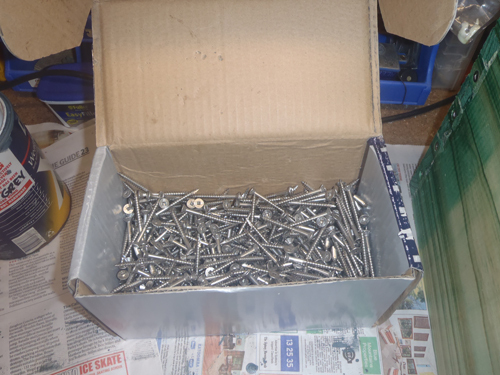 Traditionally cement covered nails were used but they will rust over time, resulting in box failure. 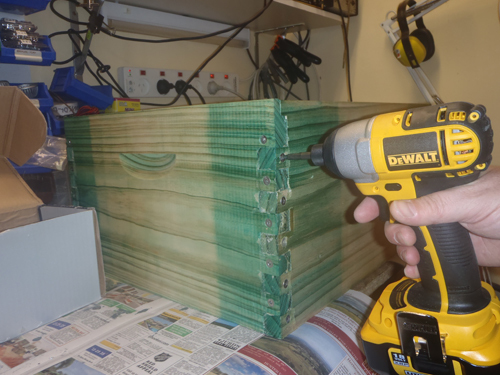 The method I use is to assemble the boxes using waterproof timber glue (this glue also expands as it sets which eliminates gaps). I then square the box using a box square and strap it using a strap clamp to hold it square. 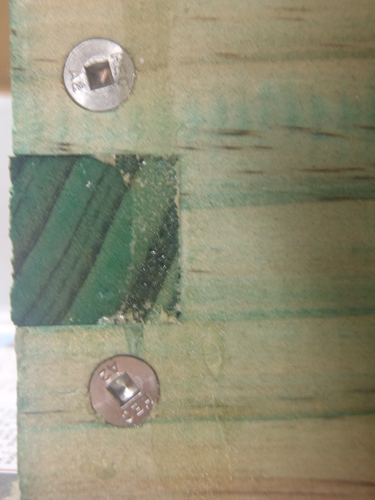 I then screw it using the decking screws and an impact driver which results in a very strong joint. No gaps to keep the dry rot spores out of the joint. 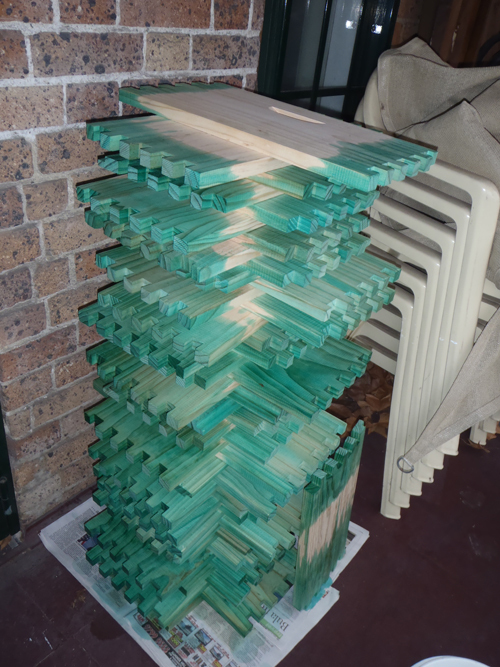 They then need to be stacked for a couple of days to dry before painting inside and out. I use any light colour of water-based exterior house paint and have bought old tins from reverse garbage as they are cheap. I normally do one coat inside and three or four coats on the outside. With second-hand paint, make sure it’s not had any mould additives put in. If in doubt, don’t use it as it may be toxic. 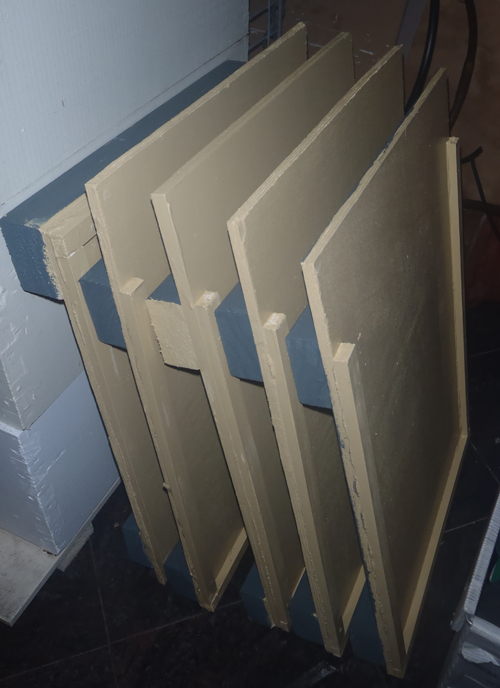 I also made a heap of bottom boards. As they are a simple shape, I picked up a whole lot of marine ply packing crates from a local motorbike importer and used some timber offcuts for the risers and cleats.